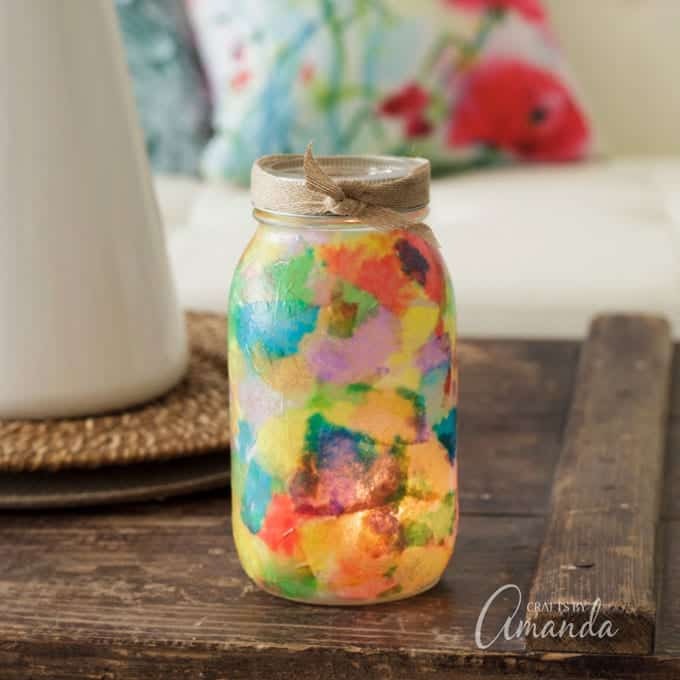 Luminaries are fun to create, they are great for holiday and seasonal decorations, and a jar luminary is an easy to make gift idea. You can use a real candle inside your luminary or if you prefer, use battery operated tea lights. 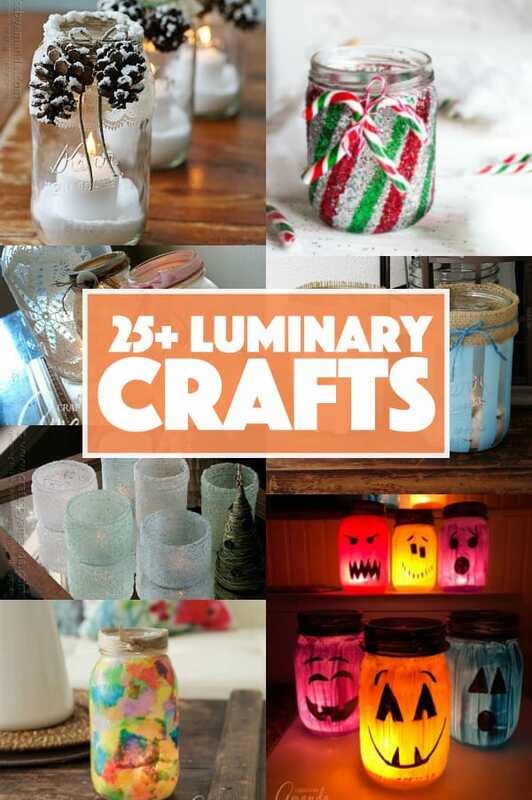 If you’re looking for luminary crafts, here are tons to get you started. I’ve always loved making luminaries. They are an easy project, fun to make and look so wonderful when you’re done! 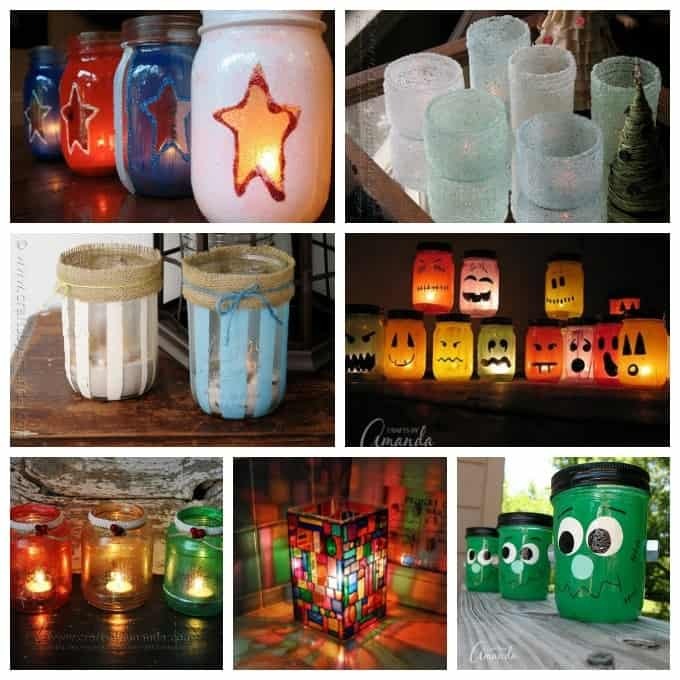 Luminary crafts are perfect for the holidays, especially Halloween and Christmas! Hint: Before you get started on any glass luminary project, be sure to check out these tips for removing those sticky labels first! Halloween is the perfect time of year to light up the night! Making these creepy luminaries will be sure to keep the kids entertained for hours, and they’ll make your house the spookiest one on the block! 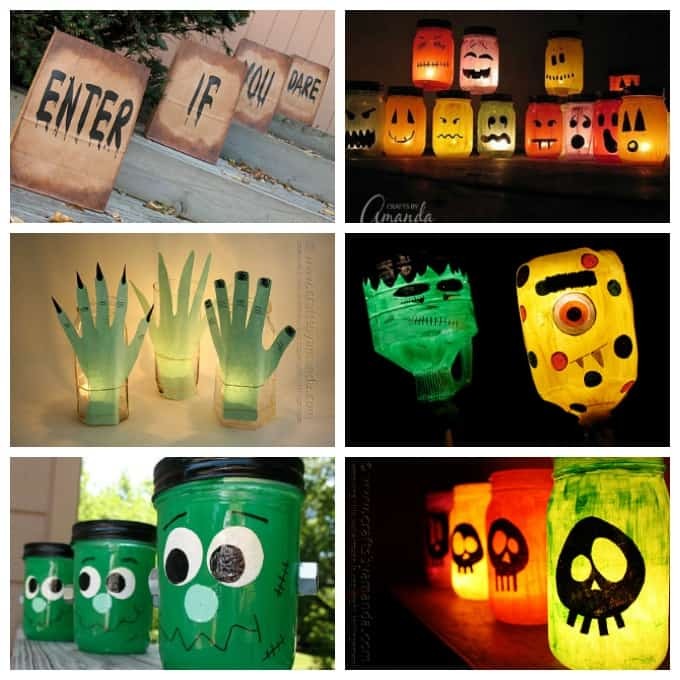 Trick-or-treaters will love a sidewalk lined with colorful luminary jars painted like silly ghouls. 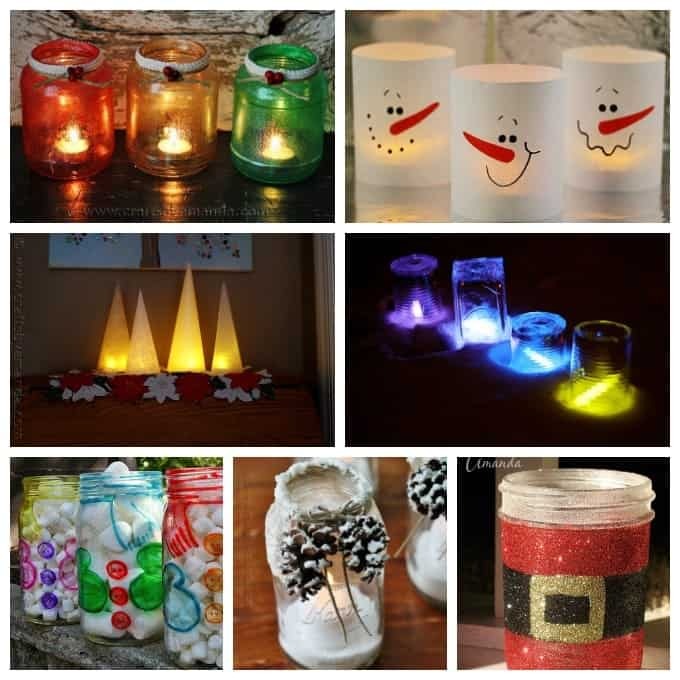 Christmas is a magical time of the year and perfect for decorating with festive luminaries. Fill your home with Christmas spirit, and light the way to the Christmas tree for Santa! 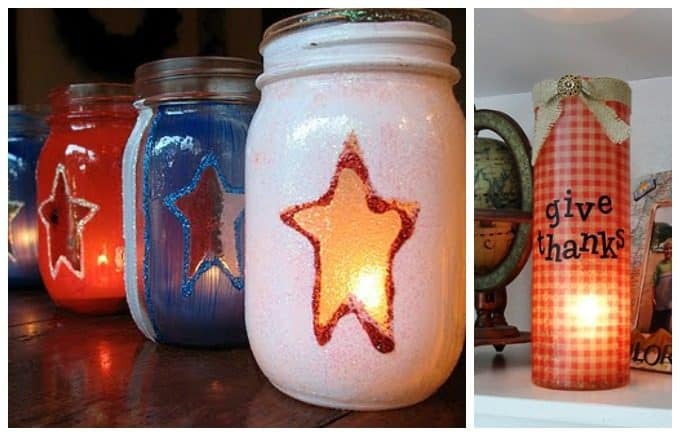 Not all luminary crafts have to be for Halloween or Christmas! There are plenty of other occasions to make them, including Thanksgiving and the 4th of July. Some can be used for multiple holidays. 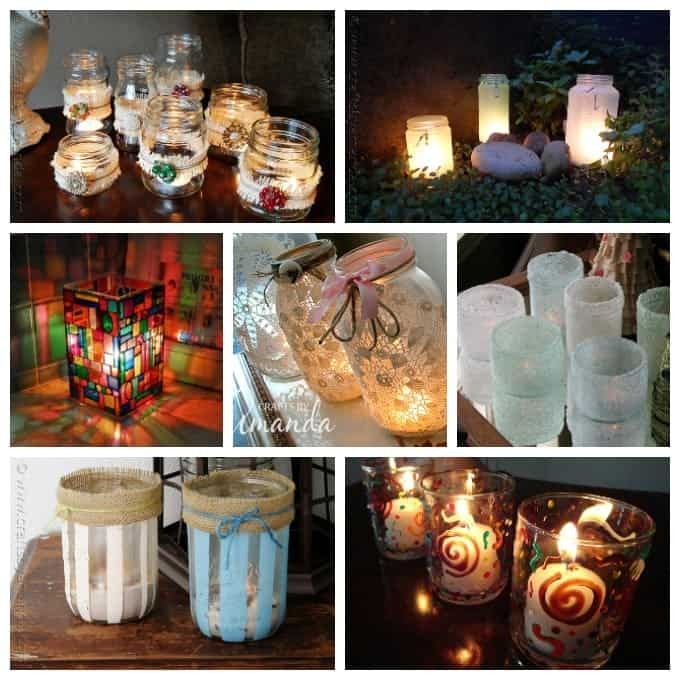 For example, the epsom salt luminaries are popular for weddings and Valentine’s Day as well as winter and Christmas! Sometimes you want to make luminaries for something other than the holidays. That’s normal, and there are plenty of options to choose from! It all depends on the aesthetic you’re going for. You can use mason jars, mayonnaise or jelly jars, and even glass vases or plastic containers. Quite often you will use Mod Podge and tissue paper or paper napkins, or you might use acrylic paint, though translucent enamel paint is beautiful too. Use soft but decent quality paintbrushes and be sure to clean them out well and flatten out the bristles to dry. There are different types of Epsom salts, so make sure you get the kind that look like crystals rather than flakes. No matter what time of year it is, a luminary craft will make a great home decor item or gift for a loved one or friend. I hope you enjoy each project! This post was originally published on this blog on Sep 5, 2016. I am planning a retreat for a church staff and just came across your craft that looks like stained glass windows. I’m thinking this would be a great craft for the team. Do you have instructions for this craft? Or does it need to be purchased?